But the buzz over VR has faded to a whisper. At the CES 2019 tech show in Las Vegas, Facebook's Oculus unit isn't holding any glitzy press events, just closed-door demos for its upcoming Oculus Quest, a $399 untethered headset due out in the spring. Other VR companies are similarly subdued. HTC announced two new headsets—one with only sketchy details—while Sony has some kiosks for its $300 PlayStation VR set in the main hall. VR proponents are still dreaming big, although the challenges remain formidable. 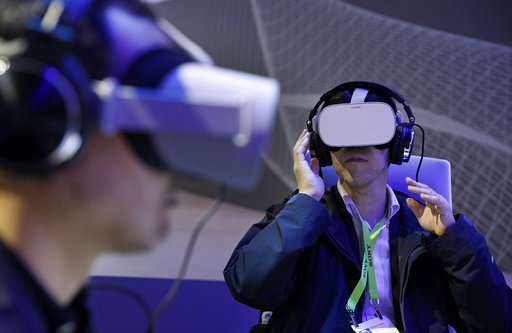 Shipments of VR headsets rose 8 percent in the third quarter compared to the previous year, to 1.9 million units, according to data research firm International Data Corp.—an uptick that followed four consecutive quarters of decline . 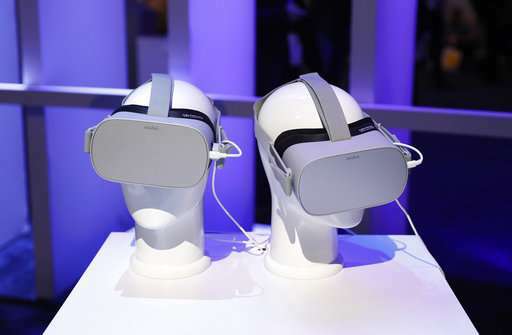 Nearly a quarter of a million units of Facebook's Oculus Go and Xiaomi's Mi VR—the same stand-alone VR headset, sold under different names in different markets—shipped worldwide in the quarter, IDC said. Those still aren't huge numbers for a technology that seemed to hold such promise in 2012 when early demonstrations of the Oculus Rift wowed audiences—so much that Facebook acquired Oculus for $2 billion two years later. Despite large sums ploughed into the field by Facebook, Sony, Samsung, Microsoft and Google, VR hasn't yet made much of a dent in the real world. Such nonsense. For some reason, I've seen a couple journalists bashing VR at CES 2019.. And it makes no sense at all. There's tons of excitement and VR is still growing at a healthy rate! The claims made in this article are just not accurate. Big hardware releases are coming soon, standalone VR headsets are the enabling factor many gaming-consumers are waiting for. Did this journalist not try the Oculus Quest? The problem is current VR tech lets you see stuff, but doesn't let you do stuff. When they mate it up with devices that can tell where you're looking, and tactile controls that let you affect things in the VR and give tactile feedback, then it will leap out. Right now you can do as well with two monitors and a mouse. And don't give me one click. Predict all the things I might think of to do and give me a different control for each of them. VR is in its infancy and it's going to be expensive to develop. Once they get adequate resolution, refresh rate, and field of view, VR should overtake traditional flat screen. I remember watching 'The Revenant' movie, the chase scene on horseback with the arrows whizzing around DiCaprio and the camera does a wide sweep and back, and thinking that VR should soon allow us to do the same thing at will in movies. I still think that's half-VR, @Otto. You can see but you can't do. Most people are casual computer users. Donning headsets and gloves is far from casual (even for gamers). And still: Nothing beats the mouse for pure convenience and ease-of-use. Until VR is basically a "beam it directly into someone's eyes" type of deal I think it's going to continue having a hard time (much like 3D TV). That said: the upcoming generation is finally in the range of resolution and field of view where I might give it a serious try. Technically if you touch-type you can have a number of options; but this is, as you say, clunky. I was thinking more of laser scanning of the hands than gloves. And of photometry capable of scanning eye movements. Not sure about needing a headset especially with goggles. I'm saying that movies will be filmed in 3D and you'll be able to pan around at will, perhaps even roam around a bit like video games. It will happen when display resolution reaches the eye's resolution. Eye tracking and foveated rendering to make the high density areas dominate compute power where you're looking while the vast majority not in that cone of sensitivity are rendered at really low resolution. We want to see the same level of detail as we see in the world's best reasonably priced displays. And then there is the field of view.... Then this rocket ship takes off.